Students and Fresh Start Academy members are invited to join YFC members and practise their business skills for future tenancy applications. 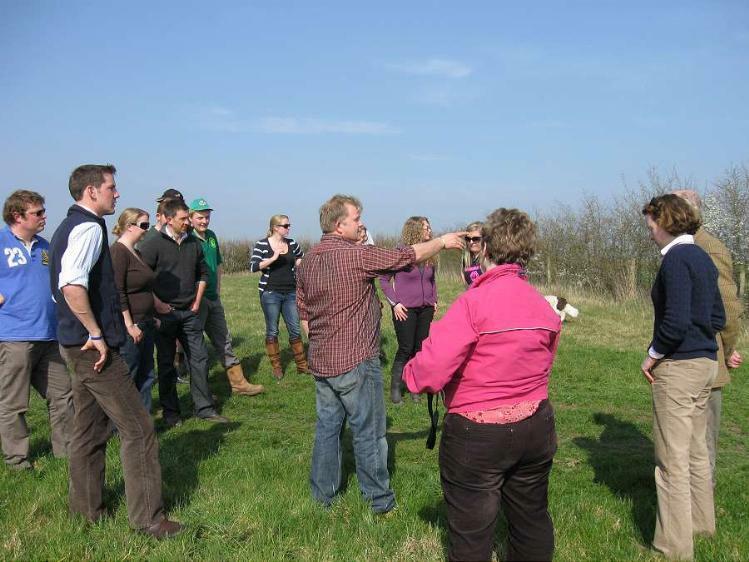 Supported by Defra, 2011 sees the pilot of the National Federation of Young Farmers’ Clubs (NFYFC) opening up its prestigious competition to non-YFC members in an adjacent category with its own prize of Oxford Farming Conference scholarships. NFYFC’s Agriculture and Rural Affairs Committee chairwoman Milly Wastie said: “The competition and its associated tenancy training is much-needed in the current financial and agricultural climate. We want the improved standard of applications from young farmers to continue and it’s for this reason that sponsors and supporters of the competition pushed for an additional category. “We hope this will also highlight the work of the NFYFC Agriculture and Rural Affairs committee to a wider audience as well as helping other young, potential tenants, to practise their skills. The competition is now live and information and entry forms are available from the NFYFC website or by contacting sarah.palmer@nfyfc.org.uk. The deadline for business plan submissions is 1 August and interviews and an awards ceremony takes place on 17 September at the Royal County of Berkshire Show, Newbury. There's a fantastic opportunity for two English young farmers to compete in the first-ever World Young Shepherds Competition taking place in New Zealand in November. Qualifying competitions for English competitors aged 20-25 are taking place at the NSA North Sheep event on Wednesday 8 June in Hexam, Northumberland, and the NSA Sheep South West event on 14 June in Paignton, Devon. The highest placed eligible competitors from the two NSA Young Shepherd competitions will be able to go forward to the world championships which are sponsored by EBLEX. The Young Shepherd Award is designed to test shepherding skills in a pentathlon of activities. Entrants will be required to sort finished lambs for slaughter and demonstrate handling tasks, shearing, vaccinating and dosing techniques, along with stock judging. They will also be questioned on flock management and health issues. NSA North Sheep event organiser Julie Sedgewick said: "These two competitions are designed to help equip tomorrow's sheep keepers with the skills they need and give recognition once those skills are honed." Download the flyer for more information on the competition. Check out who will be battling it out to take home the silver from the NFYFC competition finals at annual convention in Blackpool as well as this year's trophies in the annual convention section of the website. The closing date for applications for this annual bursary is 30 April, and prospective postgraduate agricultural students interested in applying for the award are being encouraged to submit their applications. Don't miss your chance to apply for an award that could pay for 75% iof the cost of course fees. Full details of the bursary scheme and how to apply are available in the Things to Do section of the website, under Bursaries and Scholarships. Enthusiastic Young Farmers' Clubs members are up for the challenge of making the Campaign for the Farmed Environment (CFE) succeed. That was the overwhelming message at last week’s NFYFC Regional Link Day at a CFE Beacon farm in Gloucestershire where a group of YFC members found out how the campaign can deliver environmental benefits through practical management, without the need for regulation. The YFC members were given a tour of host farmer Simon Pain’s 125ha holding near Berkeley to learn some practical tips on the key target options in ELS and campaign voluntary measures that count towards the CFE. YFC members at the meeting received free supplies of wild bird seed, courtesy of CFE supporters, Kings Game Cover and Conservation Crops, to help them get on their way with option establishment on farm. The CFE will be providing advice during the NFYFC annual convention at Blackpool in May this year where members will be able to get information on how they can support the campaign without the need for Government intervention. Campaign for the Farmed Environment partners are the NFU, the Country, Land and Business Association, the Agricultural Industries Confederation, the Farming and Wildlife Advisory Group, the Game and Wildlife Conservation Trust, Linking Environment and Farming, Defra, Natural England, the Environment Agency and the RSPB. They have been joined by the Association of Independent Crop Consultants and the Central Association of Agricultural Valuers to create a powerful national partnership.